These are basically my favorite shows that are currently airing plus one I'm really excited about that is premiering soon! I came down with the Flu (type B) on Friday, February 9. 😓 I didn't know I had the Flu until Sunday, the 11th. And I didn't go back to work until Friday the 16th. So I slept a lot and watched a lot of TV that week! 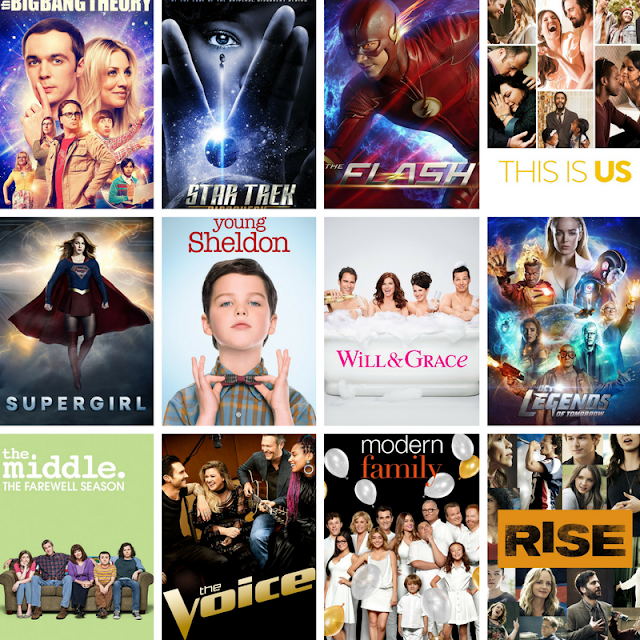 I binge watched all of season 5 of Will and Grace, caught up on Supergirl and The Flash, and watched the final two episodes of Star Trek: Discover, which were AWESOME! I LOVE that show! There weren't many new episodes airing during the Olymics, and I didn't watch the Olympics. But this week I watched the first two episodes of the new season of The Voice because I freakin' love Kelly Clarkson! And oh my word, the judges were cracking me up! I have a feeling I will at least watch all of the blind auditions this season and I might even keep watching after that, which would be a first! I want to watch David Letterman's show on Netflix: My Next Guess Needs No Introduction! First President Obama, then George Clooney. I also still want to go back and finish watching The Good Place season one. I watched the first three episodes, and I liked them a lot, but I just haven't gotten back to it yet. Eventually I still want to check out Black Lightning (the newest superhero show on the CW). But that might not happen anytime soon. I think I would be more inclined to watch it if it were set in the Arrow-verse the way the other four shows are. But I don't know anything about this superhero, so maybe it just wouldn't make sense to connect him to the others? I don't know. And finally, there is a new show called "Rise" premiering on March 13 on NBC that I'm looking forward to. When I watched the preview it reminded me A LOT of Glee, but I loved Glee, so I'm fine with that, lol! 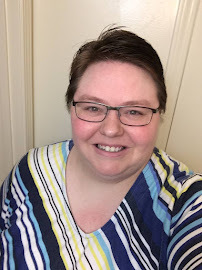 A Circle of Quiet (Crosswicks Journals #1) by Madeleine L'Engle (2/8/18) - Read my review. I have STILL been obsessed with the soundtrack to The Greatest Showman ever since I saw the movie the first time on December 29! 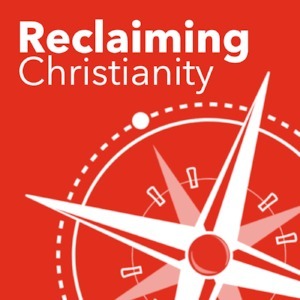 I have also had the opportunity to be a panelist on several episodes of John Weldy's Reclaiming Christianity podcast. 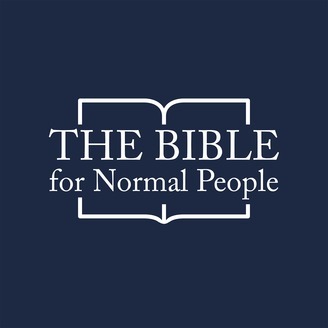 Most recently I was on the episode on "Women and Evangelicalism". John Weldy, Tiffany Earle, and I discuss the relationship between women and evangelicalism through the lens of Deborah Jian Lee’s Rescuing Jesus. How have women been shaped by evangelicalism? Why is there such a disparity in gender equality? What is the effect of purity culture? And how can we address these issues? You can listen to it by clicking here. If those books sound like your cup of tea and you would like to join the Facebook Group you can click here to email me. 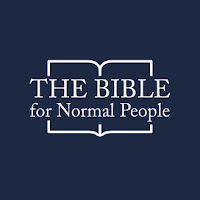 Or click over to the Theology Book Club page and fill out the contact form at the bottom. In addition to the online discussion within the group, we also have monthly (and weekly for those who are interested) chats where people can participate by talking over the voice channel (using Discord), or they can choose to just listen and engage via text if they so wish.